Rubio, M.; Ruiz, M.; Teran, F.; Arroyo, F.; Colomer , J.; Colprim, J.
Rubio, M. [et al.]. Fuzzy control of dissolved oxygen and on-line OUR estimation in a SBR pilot plant. A: IWA Conference on Instrumentation, Control and Automation. 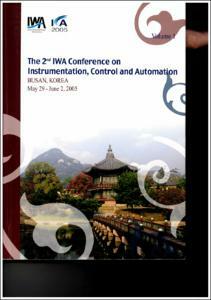 "2nd IWA Conference on Instrumentation, Control and Automation: Busan, Korea, May 29-June 2, 2005". Busan: 2012, p. 43-50.